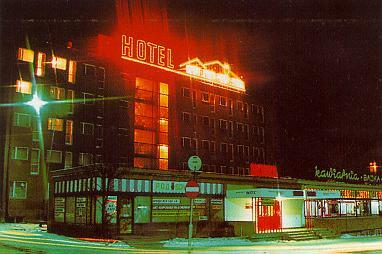 The HotelÂ is located in the town's centre, 4 km away from the main bus and railway station. We offerÂ single, double, family rooms and suites. All the rooms are equipped with the following: a shower, a bath, colour tv set, a telephone. To our guests disposal are a solarium, a beauty parlour, a restaurant with tasty cuisine, a car park. There are many reasons you can come to Bielawa for. Staying here in private or on business, you will have a chance to visit and experience the attractiveness of the Owls Mountains and Low-Silesian region.